Published on 2 August, 2015 in FOSS and Korora. 0 Comments Tags: 22, korora, release. We’ve finally had time to finalise Korora 22 and images are now available. I strongly recommend downloading with BitTorrent if you can. Alternatively, install Google Chrome which includes the latest version of Flash. Also, KDE 4 is not available for this release, so if you are not ready to move to KDE 5, then please stick to Korora 21. Published on 10 January, 2014 in Korora. 0 Comments Tags: 20, korora, release. Today we released the final images for Korora Project (Fedora1 Remix) version 20 with Cinnamon, GNOME, KDE, MATE and Xfce desktops (in 32 and 64 bit). The release was a little delayed because we were waiting for a few bug fixes to land, as well as Christmas and New Year holidays which got in the way. We have also been hard at work building our new open source web platform which includes a replacement for our forums which is called Engage. Anyone who had an account with our old forums can log in to the new site, you will just get an email to activate your account first. Bug reports welcome! 1 Korora is not provided or supported by the Fedora Project. Official, unmodified Fedora software is available through the Fedora Project website. Published on 29 November, 2013 in Korora. 0 Comments Tags: 20, beta, release. The Korora Project is pleased to announce the first beta release of version 20 (codename “Peach”) which is now available for download. Note: This beta release of Korora is derived from a beta release of Fedora1 and as such there will likely be a larger number of bugs and many software updates. For the first time we are introducing an Xfce desktop, which was made possible thanks to Maik Adamietz (AKA DarkEra) and others in the community. We would also like to thank Jeremiah Summers (AKA JMiahMan) for his assistance in updating the KDE version as well as Dan Marshall (AKA dan408) for his help with the MATE release. Thank you! GNOME 3.10 will have a number of new applications and new features that will please GNOME-lovers. This release includes a new music application (gnome-music), a new maps application (gnome-maps), a revamp for the system status menu, and Zimbra support in Evolution. A preview of GNOME on Wayland compositor is also finally available. Refer to the GNOME 3.10 announcement for more details. A modern, stable desktop environment, this release includes faster Nepomuk indexing, improvements to Kontact, KScreen integration in KWin, Metalink/HTTP support for KGet, and much more. Refer to the KDE Plasma Workspaces 4.11 announcement for more details. Derived from Fedora 201 beta, Korora benefits from Fedora’s long tradition of bringing the latest technologies to open source software users. Application Installer brings a new interface for installing packages in GNOME. NetworkManager should be able to configure bond master and bridge interfaces with commonly used options and recognise their existing configuration on startup without disrupting their operation. Ruby on Rails 4.0, which is the latest version of well know web framework written in Ruby. Plasma-nm replaces the current network applet in KDE with a new one and bring the latest features in NetworkManager to KDE. SSD Cache is updated thanks to the recent kernel to support (fast) SSD caching of (slow) ordinary hard disks. VirtManager user interface for managing virtual machines has the ability to easily manage snapshots. We don’t build Korora inside a box. We need your help! Bug reports are especially helpful – if you encounter any issues, please report them! Korora is a fantastic, friendly community, and we have many ways in which you can contribute. Please send us feedback in the forums or log a bug report if you have any issues. Of course you can find us on social media like Identi.ca, Twitter, Google+ and Facebook. The Beta release is the last important milestone before the release of Korora 20. Join us in making this a solid release by downloading, testing, and providing your valuable feedback. Of course, this is a beta release, meaning that some problems may still be lurking. A list of the problems already known can be found at the Common F20 bugs page. Published on 8 October, 2013 in Korora. 2 Comments Tags: 19, 19.1, korora, release. Yesterday we released Korora 19.1 which is a 3 month update to the original 19 release. Anyone already running Korora doesn’t need this, however if you are planning do any more installs we highly recommend downloading this new release as it includes all updates, a few tweaks and fixes a number of bugs. This release also includes versions of the MATE and Cinnamon desktops which we’ve created to gauge community interest. MATE is a fork of GNOME 2, so if you’re pining for the old days and GNOME 3 isn’t your cup of tea, this may be for you. Cinnamon is a fork of GNOME Shell and implements a more traditional layout with modern technology on top of GNOME 3. Thank you to our community members who have helped to make this release possible. Published on 3 July, 2013 in Korora. 1 Comment Tags: 19, korora, release. See the official Korora Release announcement for more details. Published on 20 February, 2013 in Korora. 2 Comments Tags: 18, flo, korora, release. NOTE: Kororaa Linux has changed to the Korora Project and moved to a new website at http://kororaproject.org. The Korora Project is pleased to announce the first beta release of version 18 (codename “Flo”) which is now available for download. It is now possible to upgrade from Kororaa 17 to Korora 18, thanks to Fedora’s FedUp tool. This is a beta and we’d love to hear about your experience so that we can make it better! Please send us feedback in the forums or log a bug report if you have any issues. Of course you can find us on social media like Identi.ca, Twitter, Google+ and Facebook. Published on 29 July, 2012 in Korora. 3 Comments Tags: 17, bubbles, release. It is my pleasure to announce the release of Kororaa 17 (codename “Bubbles”) which is now available for download. Although I delayed this release by two weeks, unfortunately only half a dozen or so mirrors have currently synchronised the ISO images. Please be patient with slower downloads until the rest complete. Thank you. GNOME 3 comes with two desktops – the default Shell (plus fallback mode) as well as experimental support for Cinnamon desktop from Linux Mint. Shell includes a number of extensions to provide an enhanced user experience (and help ease the transition from GNOME 2.x), and Cinnamon has also been designed to provide a more comfortable experience. Kororaa also includes GNOME Tweak Tool to put further customisation at the user’s fingertips. The KDE desktop has a custom layout with specific default applications, such as Firefox for the web and VLC for media. KDE has long shipped the Netbook interface, designed for computers with smaller screen real estate. It is still recommended that existing Kororaa users perform a fresh install and users still on Kororaa 15 should install 17 as the older version is no longer supported upstream. We’d love to hear your feedback on the forums, so download it today and let us know! Published on 16 December, 2011 in Korora. 2 Comments Tags: 16, fedora, gnome, kde, release, remix. It was a little while in coming, but it was worth the wait! It is my pleasure to announce the release of Kororaa 16 (codename “Chum”) which is now available for download. 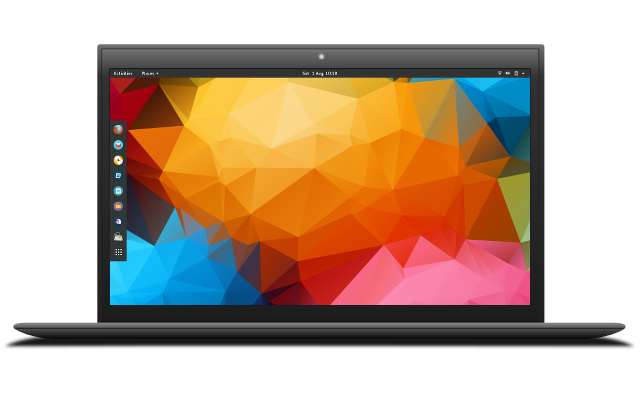 The GNOME 3 desktop has several custom themes available, as well as numerous extensions to provide an enhanced user experience (and help ease the transition from GNOME 2.x). It also comes with the GNOME Tweak Tool to allow further customisation. The KDE desktop has a custom layout with specific default applications, such as Firefox for the web and VLC for media, etc. It is still recommended that existing Kororaa users perform a fresh install, however we are working on experimental support for in-place upgrade and hope to post more information soon. Users still on Kororaa 14 should upgrade to 16 as the older version is no longer supported upstream. Unfortunately for users who wish to stay with GNOME 2.x, this means you will need to upgrade to GNOME 3. Do not despair however, Kororaa includes a desktop switcher for GNOME 3, so that users can switch between the new Shell interface and the 2.x style Fallback mode. Just run the “Switch between Shell and Fallback desktops” link on the desktop (see screenshot above). Published on 20 November, 2011 in Korora. 4 Comments Tags: 16, beta, gnome, kde, release. The first beta release of Kororaa 16 (codename “Chum”) has been released and is available for download, in 32 and 64 bit versions for KDE and GNOME. This new release includes major updates of most packages including the kernel, office and desktops (KDE 4.7 and GNOME 3.2). Some addons for GNOME have caused crashes and the gnome-shell-extension-alternative-status-menu is not included in the beta. To shutdown, hold down the Alt key while hovering over Suspend option in menu. Searching (Alt + F2) in GNOME causes Shell to crash. The GNOME 3 desktop has several extensions to provide an enhanced user experience (and help ease the transition from GNOME 2.x). It also comes with the GNOME Tweak Tool to allow further customisation. The Just another Linux geek archives for the release tag.